Hi friends! Hubs and I have escaped to celebrate our 25 wedding anniversary in Negril, Jamaica! While I’m away, basking in the tropical sun, I have asked one of my sweet friends Jessica, from House Full of Summer to guest post for me today! 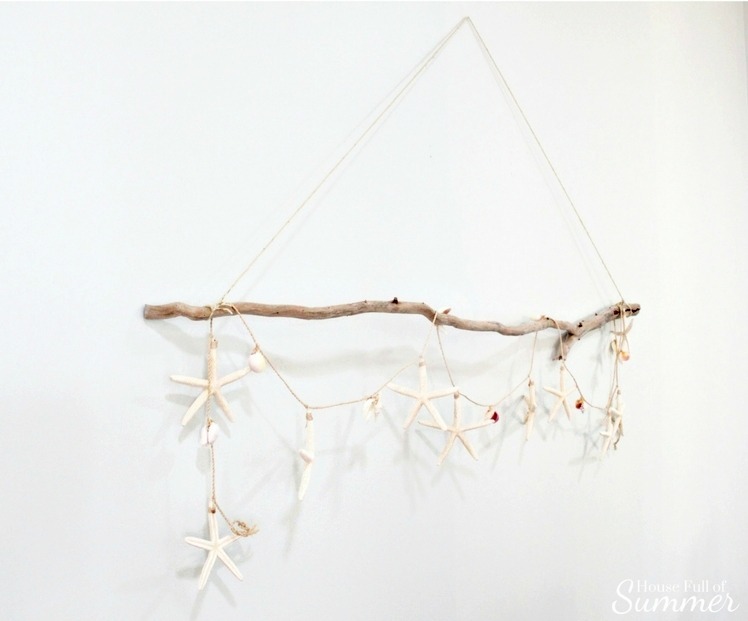 She is a coastal loving girl like myself and is going to share a fun and easy coastal craft with us, a Beachy Boho DIY Driftwood Wall Hanging! Please give her some comment love and visit her blog. Take it away Jess! I am so excited to be guest-hosting for Kim on Sand & Sisal! Her blog is one of the very first coastal decor resources I found via Pinterest years ago, so this is quite an honor for me! 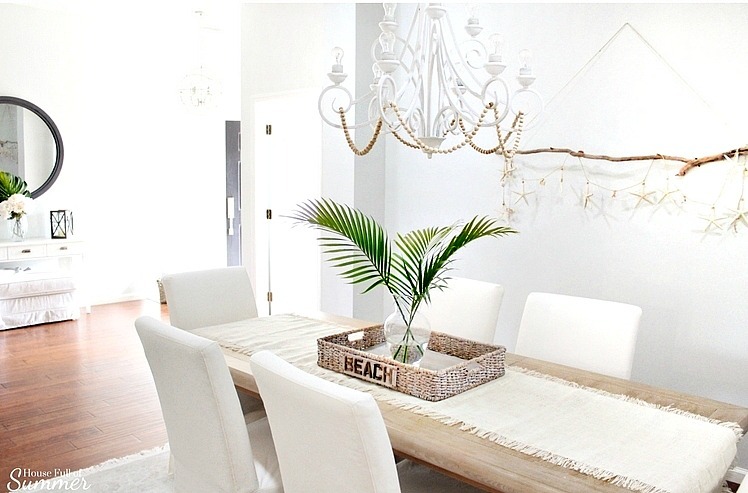 I’ve had the pleasure of getting to know Kim through Instagram where I began sharing my love for coastal-inspired home decor and design ideas. 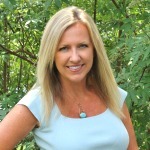 Soon after, I also launched my blog, House Full of Summer, as a way to chronicle the ongoing changes to our home in Florida, shared by my husband and dog, Summer. 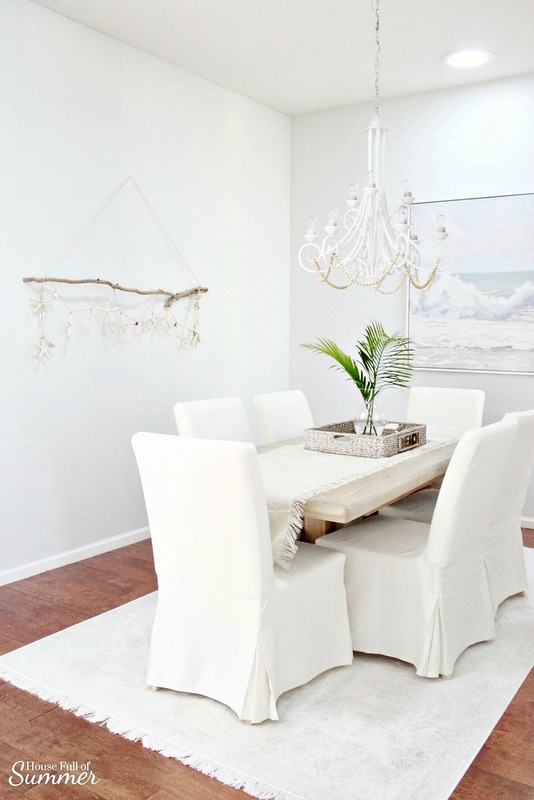 I love our coastal lifestyle and the journey of making our house feel like a home…on a beach. 😉 I sure hope you all follow along! 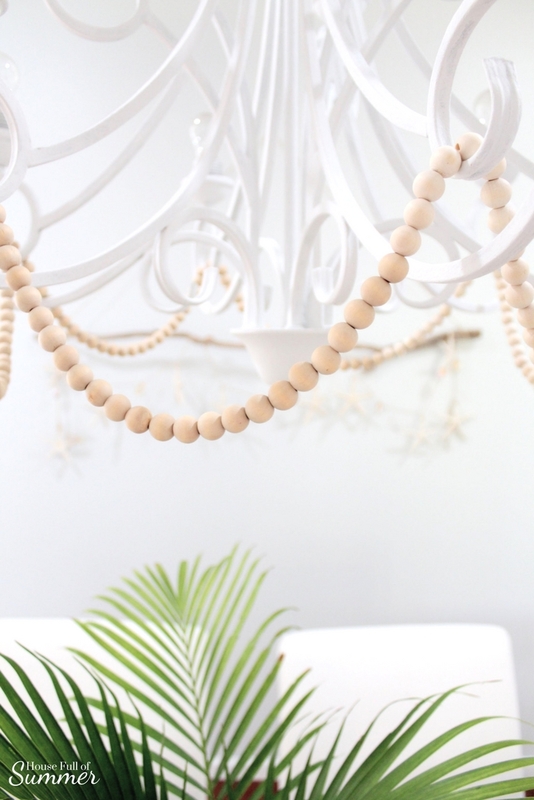 Since Kim has inspired me over the years with her coastal DIYs on a budget, I thought it would be very fitting to share one of mine with you and keep that inspiration flowing! 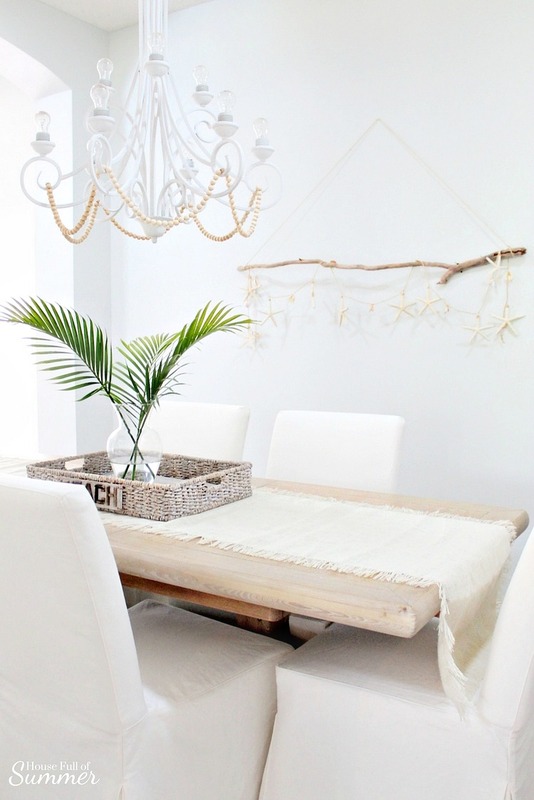 One thing I love about DIY-ing is being able to create the look I want for next to nothing. And of course I also love the satisfaction of feeling like a DIY rockstar when my project is all complete! Finally, I decided to act on my urges to do “something else” with the long piece of driftwood that my parents brought to me from the beaches of Lake Superior near their cabin. This lovely stick adorned our mantel over the holidays, and since there’s more where that came from, I decided to give it a new purpose: wall decor! No beach near you? No problem. In an upcoming post, I’ll be showing you how I created my own driftwood look-alike from a stick I found in a parking lot. True story. 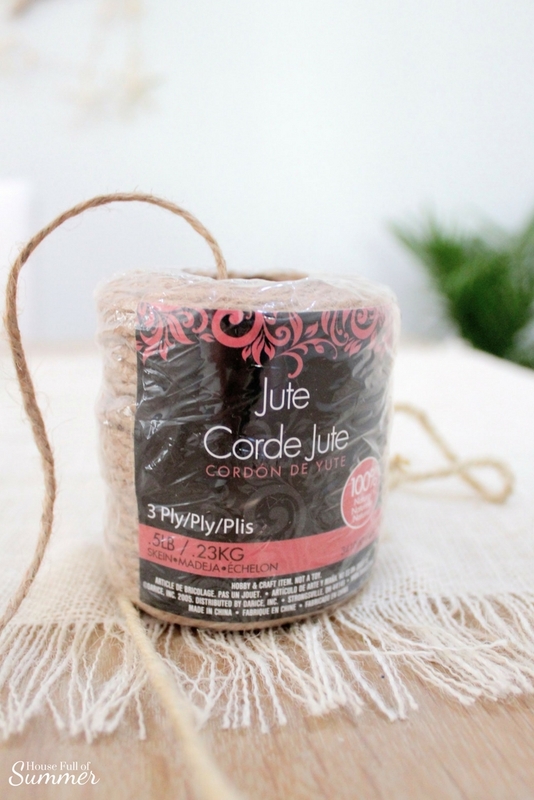 I keep a ball of thin jute rope on hand, but the color seemed too dark for this project. After an hour soaking a length of the rope in bleach, it was just the right light, beachy color that I wanted. See the difference? Trust me, the difference was much more apparent hanging on the wall. I eyeballed “center” on the blank wall and placed a nail about as high as the art on the adjacent wall is hung. 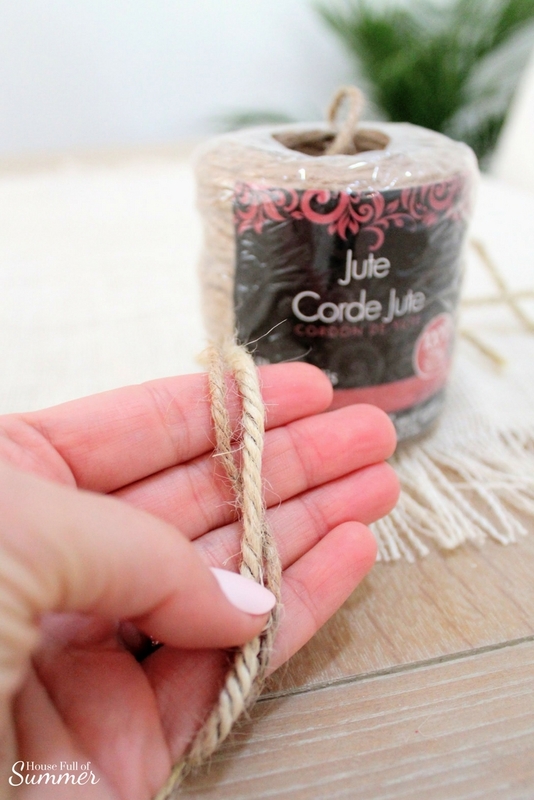 Then, I trimmed the jute rope to the length I wanted and tied each end to the ends of the driftwood. 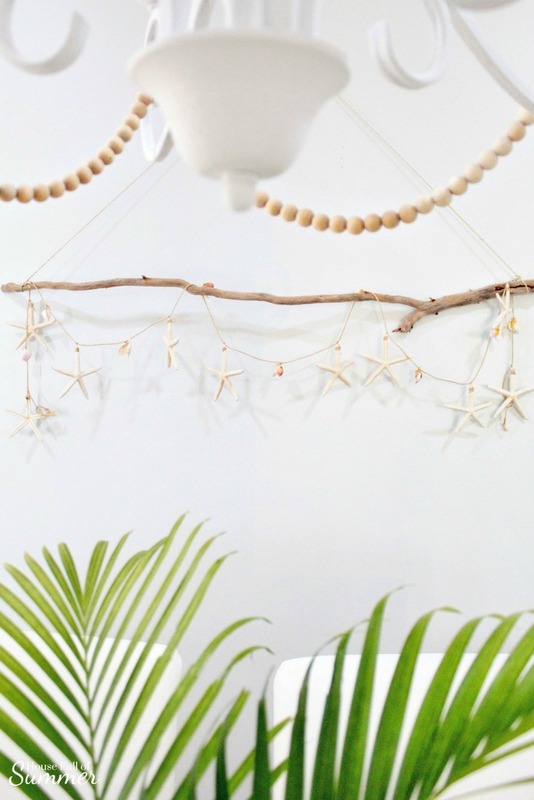 I have a starfish garland that I had originally purchased as table decor for our wedding. I got it at one of my favorite little beach shops in St. Augustine. 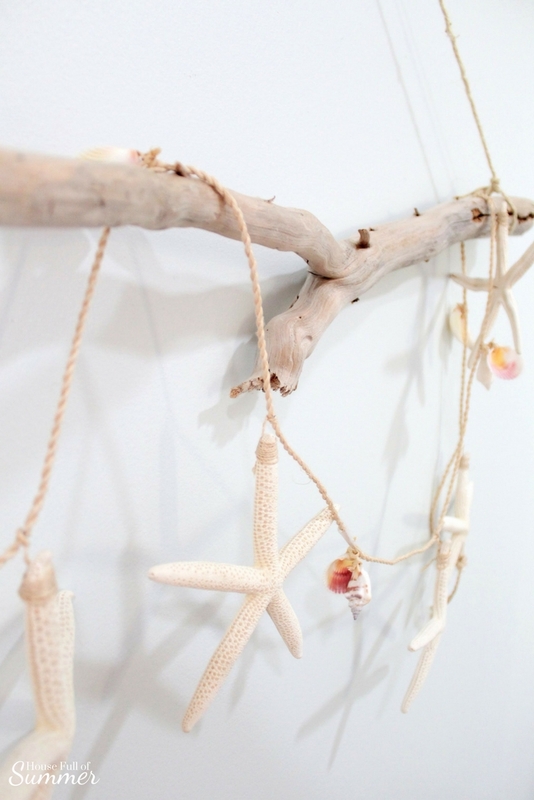 If you don’t happen to have a little beach shop nearby, you can find similar starfish and shell garlands online. In the last couple of years since our wedding it’s been a mantel garland and a Christmas tree garland. 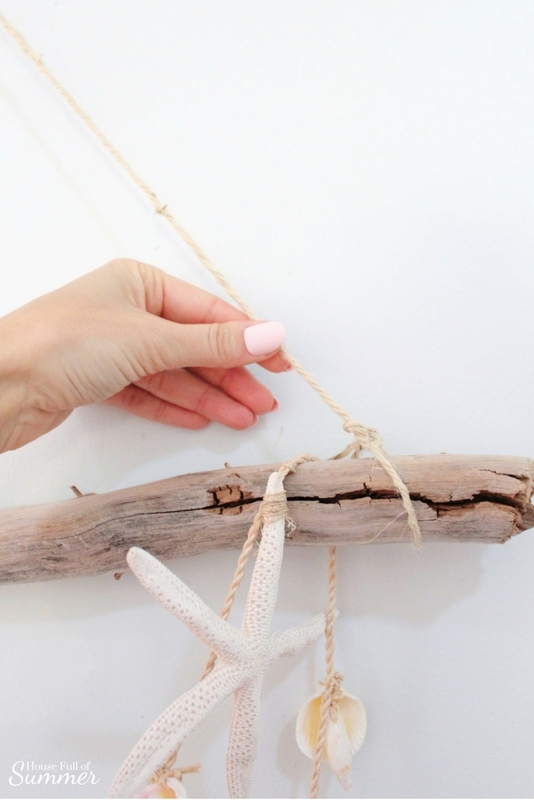 For its new purpose, I simply draped it back and forth over the driftwood until it looked as symmetrical as possible. And that’s it! See? 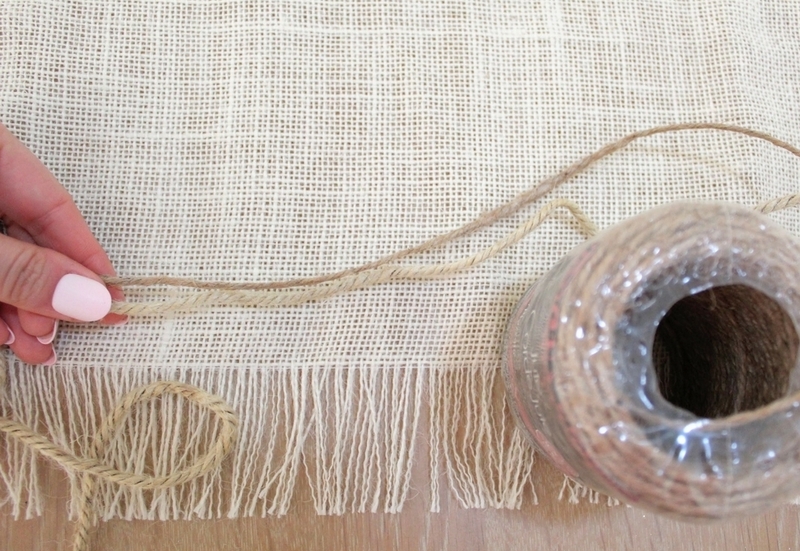 Easiest wall hanging ever. Depending on the time of day, and even the time of year, the light can totally change the appearance of the colors in this room. As I was admiring my new little DIY driftwood wall hanging, I snapped a few more photos of the glow that comes over this room as the sun lowers in the sky. Ahh, contentment! I hope that not only are you inspired, but that you would feel content with all that you already have around you! It was a pleasure joining you here, Kim! I hope you have an awesome time on your vacation!! Thank you so much Jessica for guest posting for me!!! I love your style! This is beautiful and so simple! Can hardly wait to make this. Don’t have beach close by but neighbors yard/trees are usually dropping branches when the wind blows, which is most of the time. Great for drying laundry. 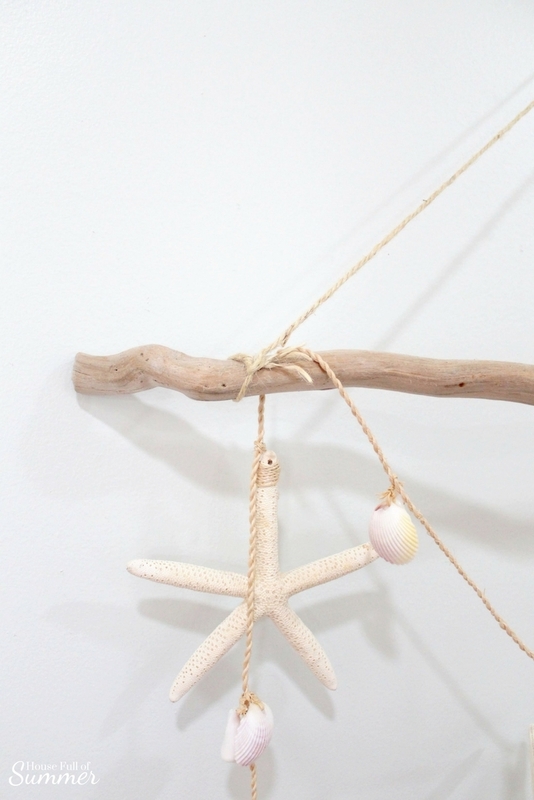 We lived in San Diego for 21 yrs..so beach décor is one of my favorites. 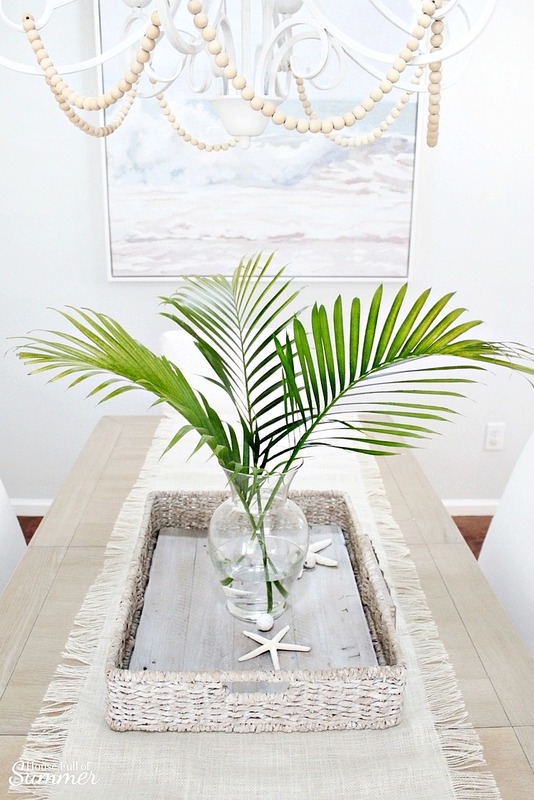 Love your wall décor ,simple and so coastal/pretty.